It’s not strange to lose or forget password while searching online. Some of us usually create a new account and continue visiting online websites. However, other users regard the account to be great significance and hope to find it back. 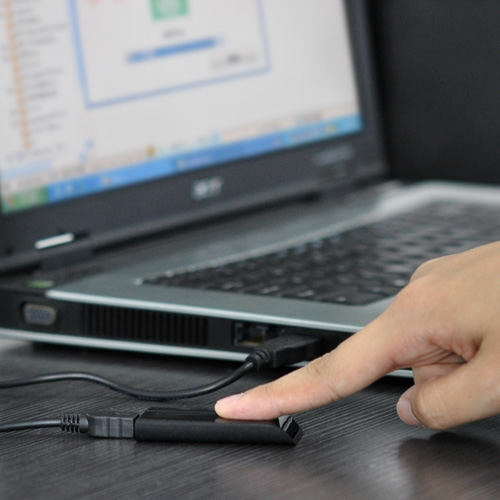 In this post, I will list the common password lost issue and possible online password recovery solutions in our daily life. According to the survey, the most common account password forgetting problems may be social media. 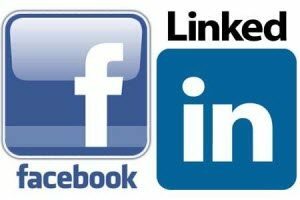 Even though we usually set up auto login for our social website, it is a disaster that once we clear cache or login abnormally, social network like Facebook, Twitter, Tumblr, Instagram, LinkedIn and MSN will ask us to type the correct password, but we haven’t pressed it for quite a long time and can’t remember it any more. How to deal with that embarrassing login failure situation? We create not only one Email account for free, but mix their password so easily. 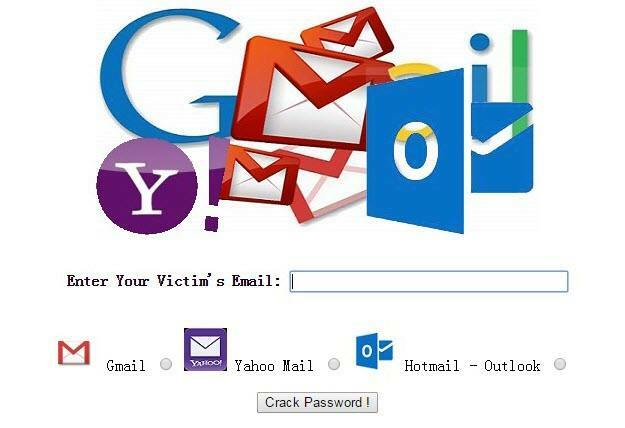 Different Emails (Gmail, Hotmail, Yahoo Mail, Outlook, etc.) have different demands so we follow the instruction to register, but several days later when we ought to get access to the email account, we realize that the login password is forgotten. Without entering the email, we have no way to sign up link of other online websites. What a pity! You may surprise that there is login password even in a frequently-used web browser. 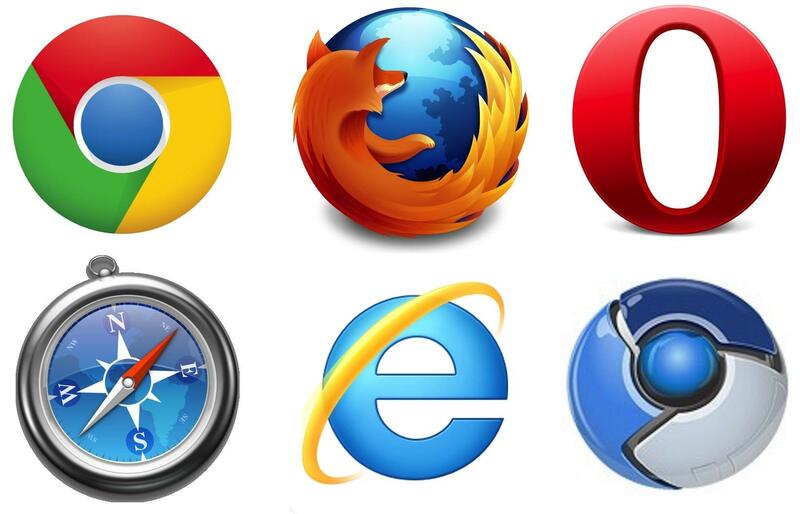 As a matter of fact, we can’t ignore that because browsers like Chrome, Firefox, Safari, IE, Opera, etc. are used nearly every day. The browser asks us to login with one account so that it is able to collect and save our browse history. With that account record, it is able to customize browsing experience for you. Once the password is missing, you have no ways to enjoy it. Bank account is related with personal information and the password is stored carefully. Once that login password is lost, you can’t query your account material or transfer accounts. That’s such a big mistake! Usually there is a “Forgot password” link under the account login textbox in every online social or email website. You can just click on the link, follow the instructions to reset password easily and quickly. Take note that some of them may ask for telephone number, verification code, trusted friends or Photo ID in order to identify your account. Without typing them correctly, you couldn’t accomplish account password recovery. Some of the online web account like bank might request your fingerprint or Face ID for the sake of security. If you have ever created that operation for your account that lost password, it’s time to use your finger or face to rescue the account. 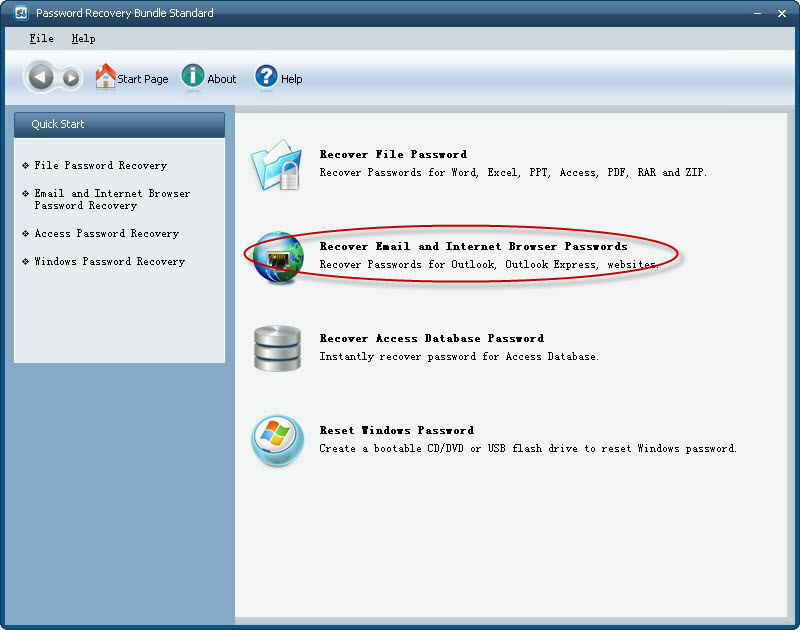 If you have saved online website login password to browser, then it’s easier to get them back with the help of Password Recovery Bundle software. 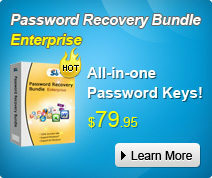 With this safe and reliable third-party tool, you can recover more than 22 different login password within 5 minutes. Let’s see how to operate it in the following guide. Step 1. Free download, install and launch this program to an available Windows-based computer. Step 2. In the main interface, tap on “Recover Email and Internet Browser Passwords” option and continue the steps. Step 3. 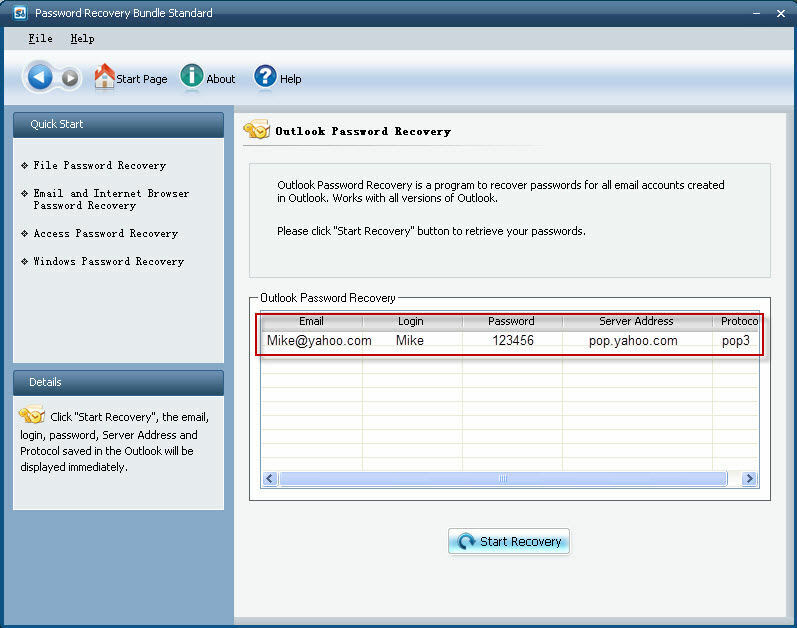 Follow the guide until you finish the online password recovery process with this desktop application. That’s all of the full discussions about online password recovery problems and solutions. Is there any issue that I don’t refer to? Leave your comments at the end of this page, I’m waiting for your valuable advices.